Flip a coin. If heads this attack does 20 more damage. Heal 30 damage to this Pokémon. Comments : Snoopy is a dog and he really likes to fly. 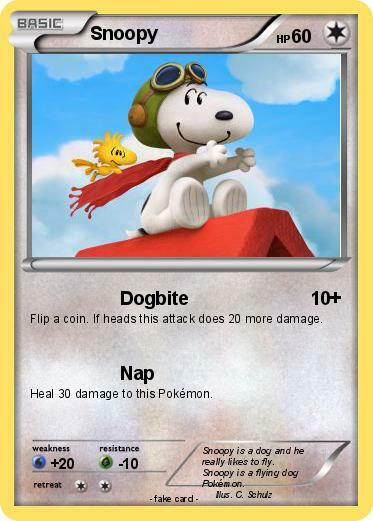 Snoopy is a flying dog Pokémon.